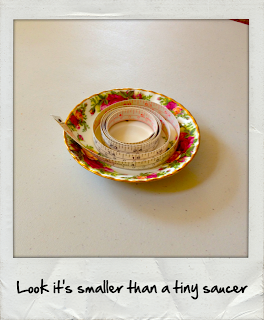 Vintage sizing can be quite tricky and confusing. What would have been a size 10 back in the day can end up fitting a size 2 today. “Say whaat! ?”, you shriek? Yes indeed, you’ve read correctly. It happens. 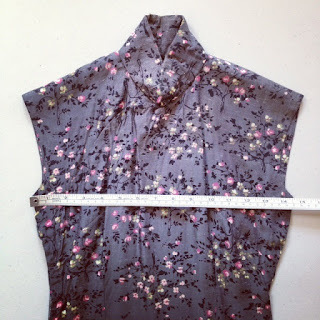 In order to avoid such confusion we at CutandChicVintage always add the exact measurements of each garment on all our listings, along with an approximate size based on today’s sizing standards. Here’s some other tips and tricks to figure out what’s your “vintage size”. Never be caught scratching your head again when you buy something vintage and it just doesn’t fit. 1. Vintage sizes can be up to four to six sizes smaller than contemporary sizing, so don’t be alarmed if you’re usually a size 6 and you suddenly find yourself fitting into a size 12 dress from the 50’s. (Did you know Marilyn Monroe was a size 12, but being that she was only 5 foot 5 inches tall and 118 lbs., she’d probably be more of a size 6 today). 2. If you’re buying vintage online you can hardly reach into the computer and try the garment on, now can you? I know that purchasing a vintage garment online can be a bit worrisome. You won’t be able to feel the garment or try it on before you buy it. But don’t let that deter you from getting your vintage clothing online. CutandChicVintage and a lot of other vintage sellers I know try to be as descriptive as possible and give accurate measurements. We lay the garment flat on a flat surface. All measurements are then taken straight across with the garment not stretched. 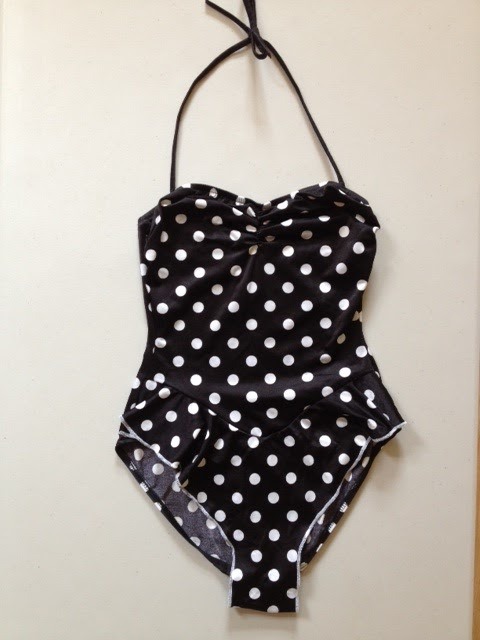 Bust, waist, and hip measurements are doubled. These are the actual garment measurements, not body measurements, so make allowances for comfort. Find a similar item already in your wardrobe. Measure it according to the measurement guidelines. Then compare the measurements you have with the measurements given to you by the seller. Et voila! Now you can make a strong guess as to how the garment will fit on you. 3. Buying in a shop or flea market? Always try something on if possible. If you’re at a flea market you may not be able to try something on, unless you’d like to strip off in public that is, most likely you wouldn’t, so what to do? Bring a measuring tape with you. It’s super light and you can roll it up and put it in your purse. Before you go determine what measurements your favorite dress is, for example, using the measurement guidelines above. Then when you’re out and about you can check and see if the measurements are more or less the same. 4. What era did the garment come from? Vintage from the 1950’s to 1960’s will be smaller by four to six sizes as mentioned above. Something from the 1970’s will have less of a discrepancy, perhaps at most four sizes smaller. Something from the 1980’s and 1990’s, where clothes were meant to fit looser, sizes could be one to two sizes larger. 5. Keep in mind a garment’s material. Always check to see what a garment is made of. Anything with lycra or jersey will have a bit of stretch. Cupped dresses at the bust, usually found on 50’s or 60’s dresses will probably fit one to two inches larger than the measurements given around that area. 6. Don’t be afraid of altering. I remember reading somewhere that most people used to alter their clothes all the time to give them that impeccable, flattering fit. If you find a vintage item you absolutely love, but it’s too large on you, consider altering it. A few inches here or there can really do the trick and will make your vintage purchase truly your very own. A couple of bucks spent on expert tailoring is value for money if you ask me, especially if it makes you look a million dollars!